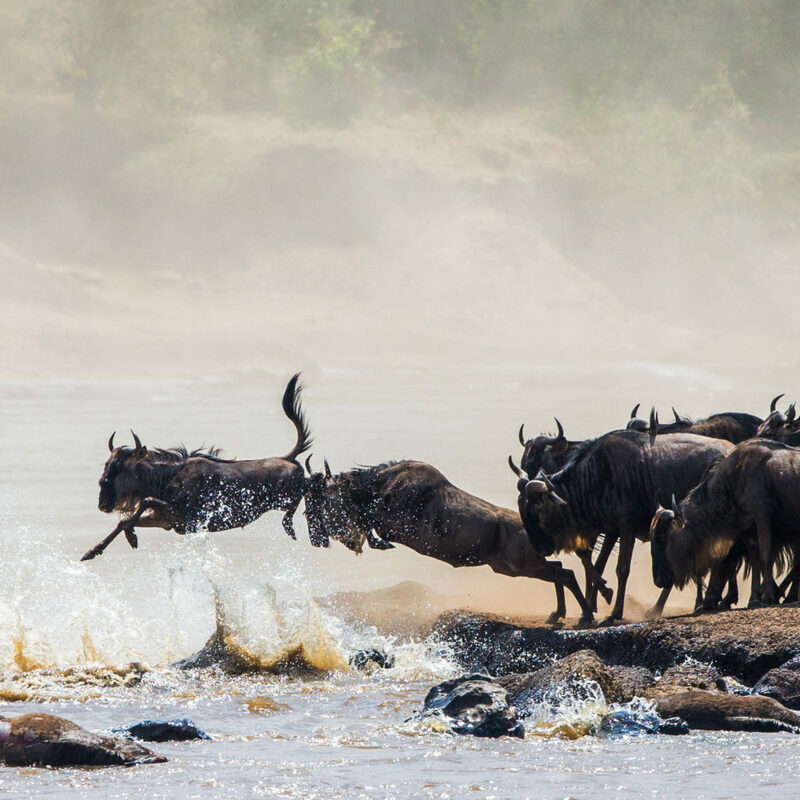 [customfont1]Every year, more than 1.7 million wildebeest, some 470 000 gazelles and over 260 000 zebras leave the Southern part of the Serengeti in May and head towards the Mara River in the North, arriving in September – marking the largest terrestrial migration on earth and one of the ten natural travel wonders of the world. 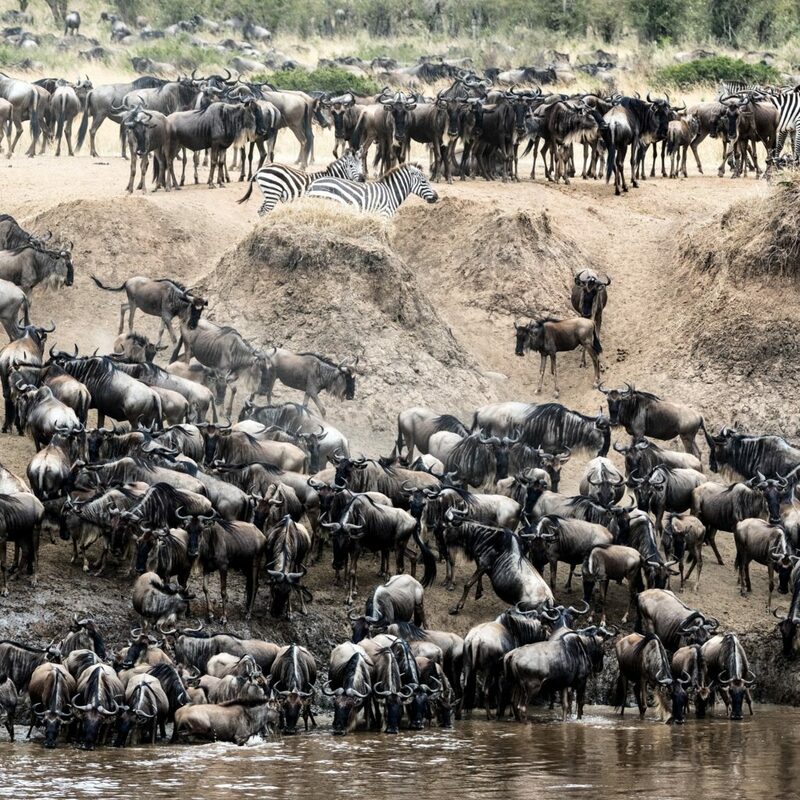 The sheer scale of the Serengeti Migration offers unprecedented game-viewing experiences, and Newmark Hotels, Residences, Reserves & Lodges’ Serengeti Explorer Camp offers one of the most luxurious and unique – thanks to the fact that the entire camp packs up and moves locations twice a year, to follow the best of the migration action. 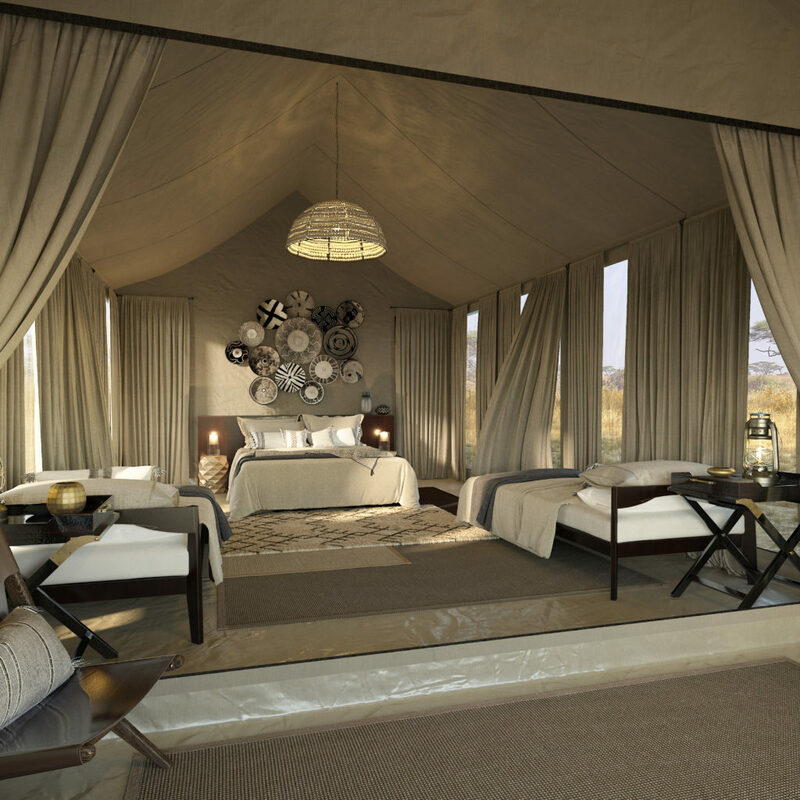 From 15 December to 31 March, the camp’s home is on the park’s southern border, near the Ngorongoro Conservation Area. 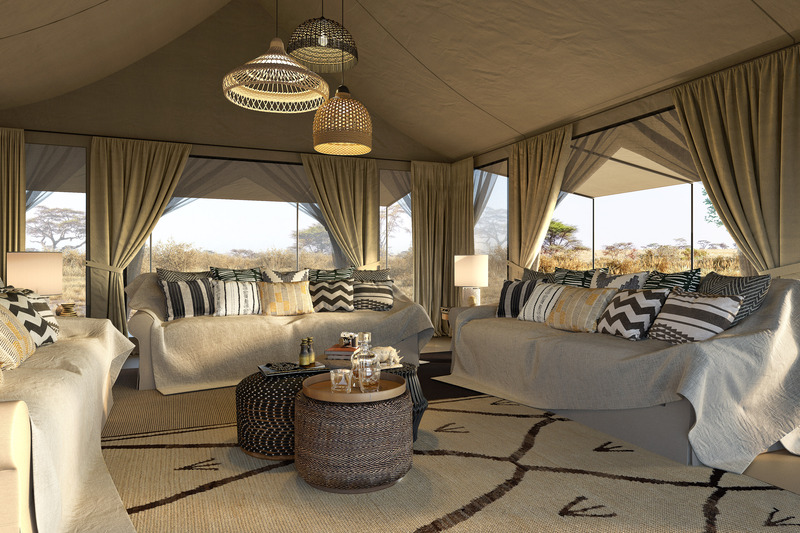 When the bulk of the migrating herds have passed through, the camp moves to the Lobo region in the northern part of the park from 1 June to 31 October, close to the Kenyan border in an area with few other camps, offering an exclusive and spectacular game viewing opportunity. 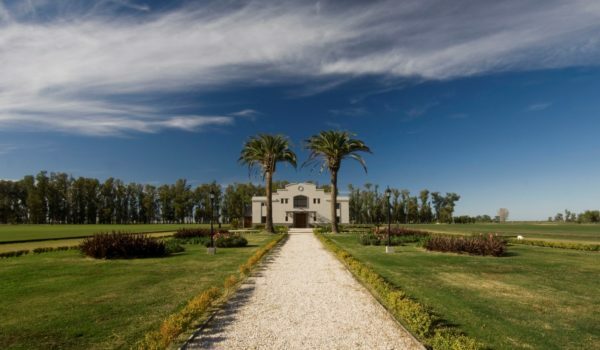 Newmark took over the ownership and management of the camp in April this year and an extensive refurbishment will see the world-class facility revitalized by the end of July with updated décor to complement its mesmerizing surroundings. 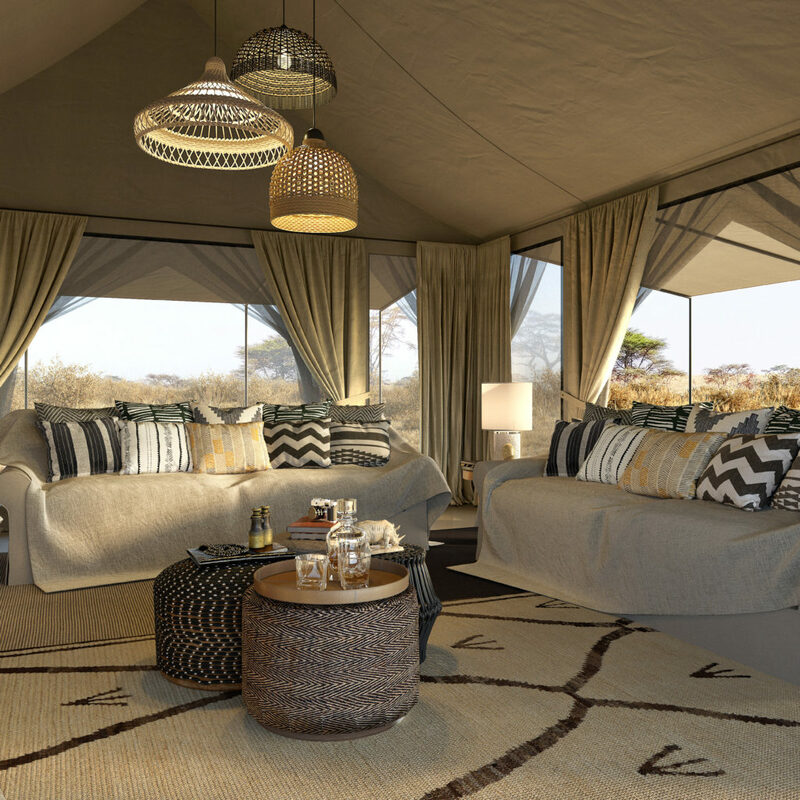 Serengeti Explorer Camp comprises 12 spacious and incredibly private tents – ten Deluxe Tents and two Family tents, appointed with luxury, privacy and comfort, top of mind. 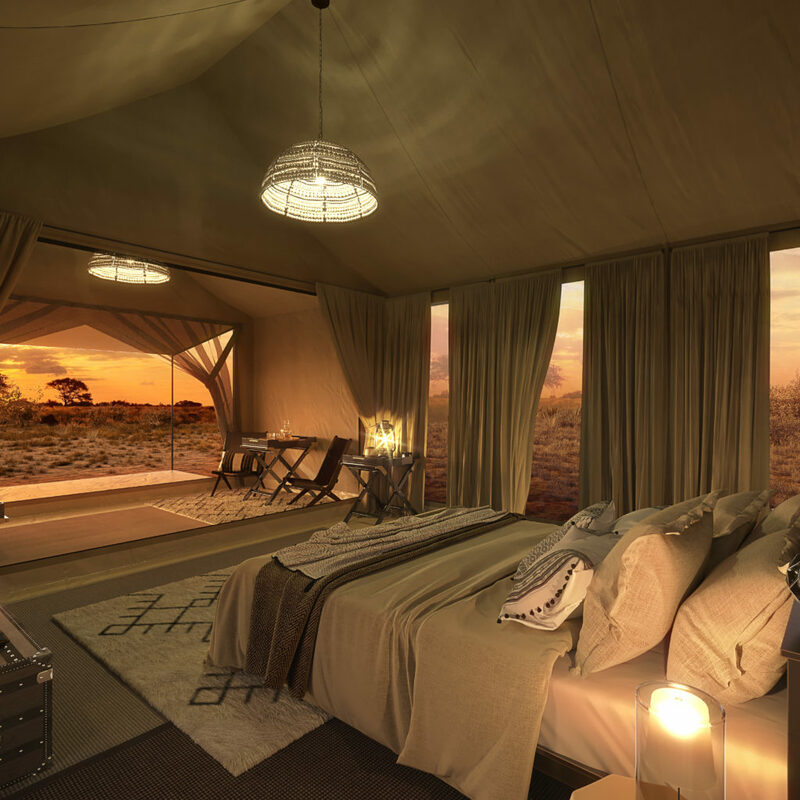 The entire camp is solar-powered and the accommodation and service is offered by dedicated valets who ensure that guests’ every ‘glamping’ need is catered for. 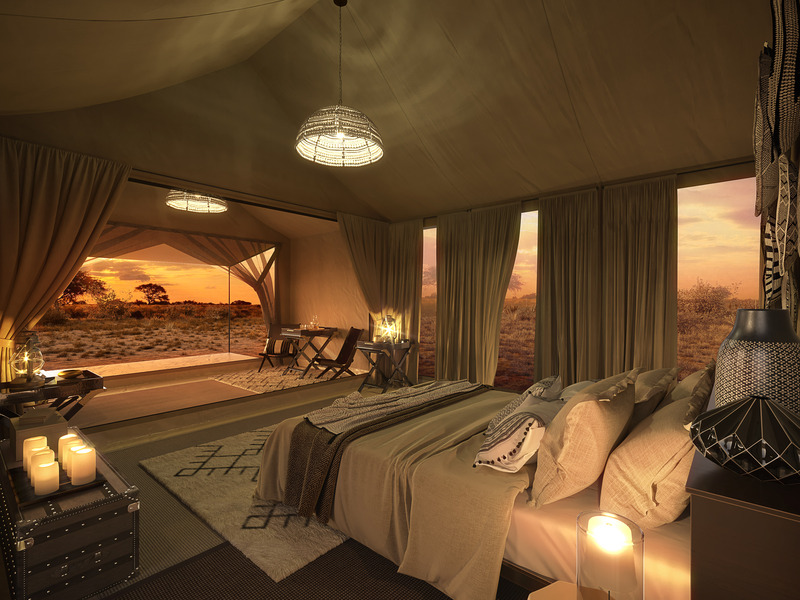 Expert guides host game experiences via either custom-built viewing vehicles, or – for the ultimate experience of the sheer scale of the migration – hot air balloon safari. 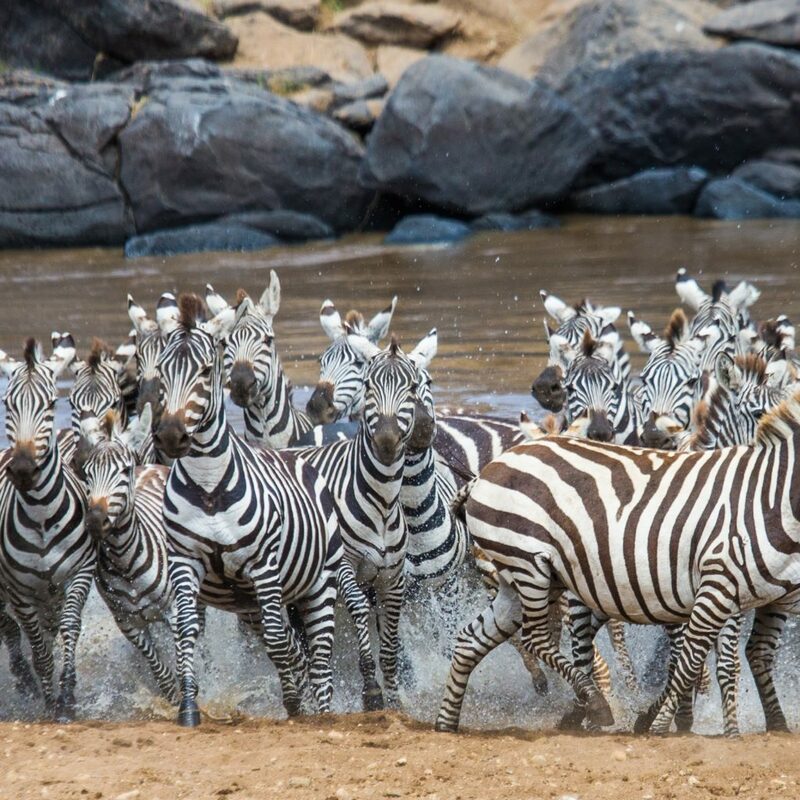 Children aged six to 15 are catered for by the Rafiki Explorer’s Club, based at the camp and offering thrilling experiences including animal call identification; footprint tracking; cooking and traditional African board games. 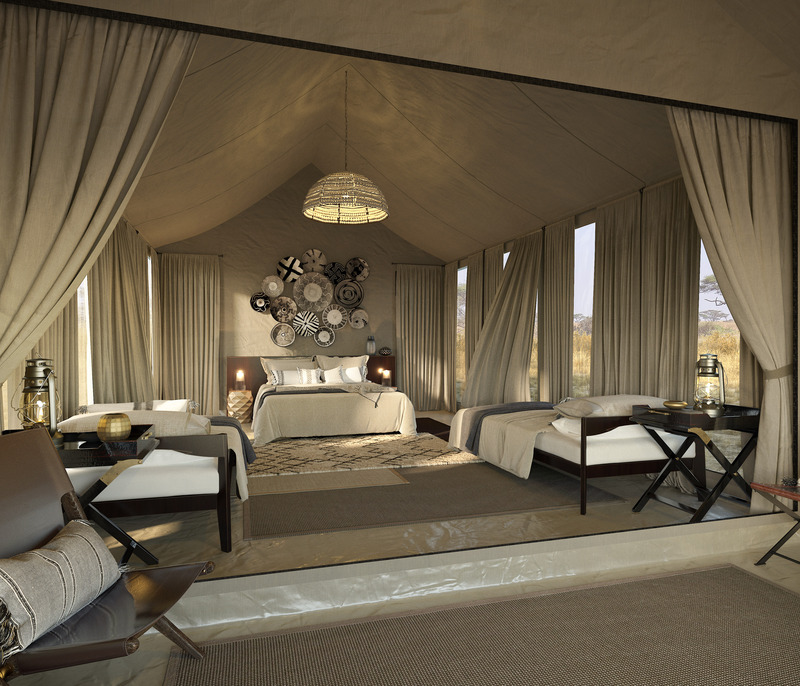 The Serengeti Explorer Camp is not operational during the months of April, May and November, as well as early December. 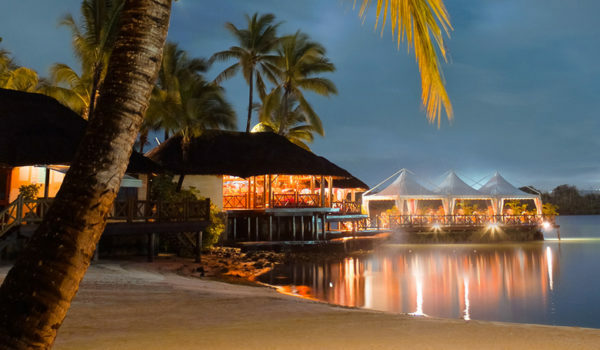 Visit www.newmarkhotels.com for more.